Northern Virginia has a “fun” climate. All four seasons, some of which can swing to extremes, particularly during the summer and winter. And, of course, even spring and autumn can bring unexpected and harsh weather as well. That is why you simply cannot wait to have a small pothole repaired around here—especially as we slide into the winter months. The increase in precipitation, wild temperature swings and the freeze thaw cycle can turn small cracks into small potholes and small potholes into gaping car eaters. 1. Smaller Potholes are Less Expensive to Fix. Bigger potholes, on the other hand, can get far more expensive because they may require deeper, more extensive repair and replacement, including shoring up of the all-important sub base. We understand that everyone is on a budget, which is why we make this important recommendation. Regularly inspect your parking lots and roads well before winter and have any small potholes or cracks filled and repaired properly. 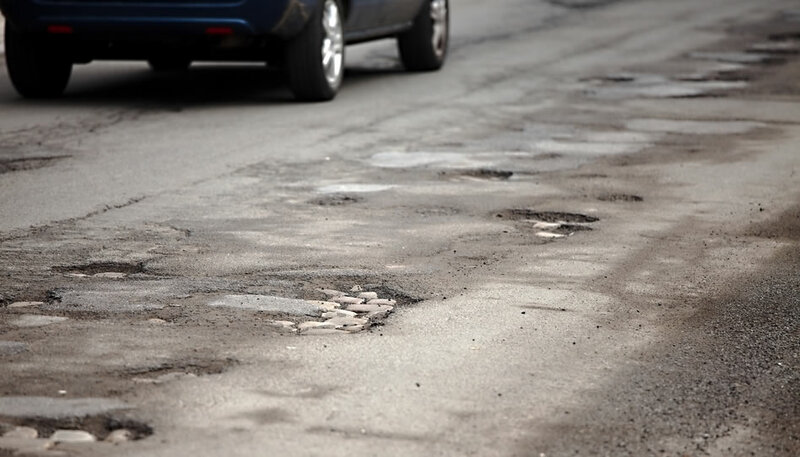 It’s harder to have them fixed in the winter, and by spring, the size and severity of the pothole will have increased significantly—as will the amount of money and time it takes to get it repaired. The biggest reason to have small potholes and cracks repaired before winter is this: the freeze-thaw cycle. Water on, under or in the pavement will expand and contract as it goes through this winter-weather cycle, further weakening small cracks. Added stress from vehicle traffic will continue to chip away at the surface, and more water may find its way into the sub base, weakening wider areas of the pavement much faster as time goes on. Don’t let the freeze-thaw cycle get the better of your pavement, your budget or your drivers. Have these cracks filled and potholes repaired now. Also, keep current with your regular sealcoating schedule. This shields your asphalt from damaging water infiltration and minimizes the effects of the freeze-thaw cycle all winter long. Thank goodness for snowplows in the winter! But even these winter life savers can add more stress and damage to small cracks and potholes, making them bigger, wider, more expensive and more dangerous to the people driving on the surface. Speaking of safety, the longer you let potholes fester in your paved areas, the bigger the chances someone could have an accident or experience car damage from un-filled potholes. The safe, responsible thing to do is get these filled before they become monsters. This helps keep everyone safer, winter, spring, summer and fall. If you’ve noticed any cracks or burgeoning potholes during your asphalt inspection or cleaning, please contact Espina Paving right away at (703) 491-9100 to schedule repairs!